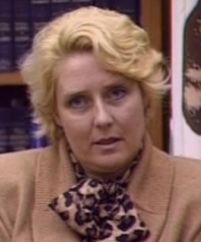 Elizabeth "Betty" Broderick is a cause celeb for womens groups as her case is viewed as all too common. Betty was married to Dan Broderick for many years and they struggled to make ends meet, always financially on the edge. Dan eventually got a law degree and got into a law practice where he did very well financially and the family seemed to be doing well. Betty was homemaker and Dan continued to earn enough to keep the family well cared for. Or so it seemed. Dan began to have an affair with a woman he met and eventually it led to a divorce in January of 1989. When Dan remarried, it was more than Betty could stand. On November 5, 1989, she murdered her ex-husband and his new wife. She was sentenced to 32 years to life in prison and will be eligible for parole in 2011. She claimed that mental cruelty on the part of Dan drove her to take action. Dan's family claims that she was hanging on and made Dan's life a nightmare. It is a complicated and controversial case and Betty has many supporters. There are many websites that go into much greater detail which you may want to investigate further.